A few years ago we released a blog based on some national research about the correlation between going solar and home value. You can read the article here later but the basic gist of our research and that of the National Association of Realtors (NAR) was that homes with solar sell quicker and for between $17,000 and $21,000 more than homes without solar. This came as a surprise for many who have cited potential problems selling the home as the main reason they didn’t want to risk going solar. Whether due to worries over aesthetics or the fear that a potential buyer wouldn’t want the panels, some homeowners believed that the benefits of going solar, while great, didn’t outweigh the concerns of not being able to sell their home when ready. Well, it has been a few years since that study was conducted and since then here have been changes to solar policy, incentives and the overall cost of solar. So we did some digging to find out if the 2013 study by the NAR still holds true. Does solar still increase your home’s resale value? Does it still help homes sell faster? According to the US Solar Market Value Report published by Sandia National Laboratories and Energy Sense Finance in 2017, the answer is still a resounding YES. In fact, the study not only found that homes with solar sell for more and faster, but that this trend applied to homes that had purchased their systems and those financed through a lease – older and newer systems. Firstly, let’s start by understanding the difference between the asking price at which a realtor would assess your home to sell (the market value), and the amount used by your local assessor’s office to calculate how much you owe in property taxes. Each year, a tax assessor visits your home to give an approximate value of what your home is worth. This is usually 80-90% of your home’s actual market value, and is used to determine how much taxes you will need to pay on the property. In the same way upkeep and improvements would affect the market value of your home, doing things like remodeling the bathroom or adding an addition will also increase your assessed property value; and in turn, increase your taxes (this applies to every home improvement except solar, which due to legislation, has no affect on your property taxes. This means that while increasing the resale value of your home with solar, you will not have to worry about a matching increase in taxes!). For the purposes of this article when we refer to property value we are talking about the market or resale value. Now, let’s take a look at what solar brings to the table that can warrant a higher asking price for your home. Research from Remodeling Magazine found that adding a new roof can increase the value of your home by $12,000. What does this have to do with solar? Well, a few things. Let’s say that your roof is in good shape. Great. If your roof is in good shape the solar panels bring the value added service of protecting the existing roof. Solar panels act as a covering to the roof, protecting it from snow, hail, rain, and the most damaging element – the sun (think about what the sun does to your skin without sunscreen. 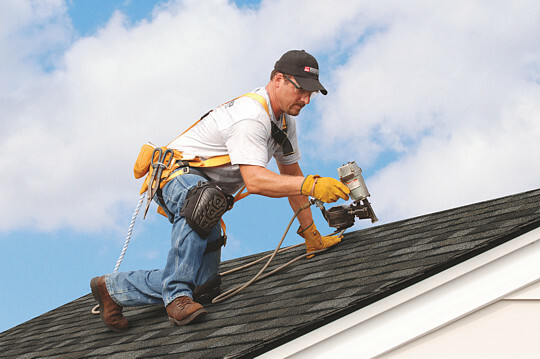 Now multiply that by 8-14 hours per day, 365 days a year, for the life of your roof. The result is cracked, curled and brittle shingles). Because of this, adding solar panels to your roof can turn a 25 year roof into a 30-40 year roof – which can mean a new homeowner not having to replace the roof for an additional 10-15 years!). On top of that solar panels come with a workmanship warranty that can easily be transferred to a new homeowner. This means that any issues that arise with the roof from the panel installation will be covered.. But what if you actually need a new roof? Even better. Because the roof would be necessary to install the solar, you can roll the cost of the roof into any solar financing option that you choose. In addition, the same 30% tax credit that applies to solar installations would also apply to your new roof. This means that just for going solar you basically get a discount on a home improvement you were going to have to do anyway. That new roof just cost you 30% less and you’ll still get the $12,000 bump in property value. Moreover, if you decide to go with solar financing options like the Mass Solar Loan, you could get that roof for $0 down with the rest of your solar system, as opposed to paying upfront for the total cost. That’s what I call a win-win. Everyone wants their home to be energy efficient. It’s basic logic really. A more energy efficient home translates to less money spent on warming the house in the winter, cooling it in the summer and living comfortably. So it also stands to reason that when buying a home the cost of utilities is a big factor in the final decision. In fact, the average utility cost for a home is typically 25% of the home’s monthly budget, but can be as much as the monthly mortgage payments in some areas. According to mortgage brokers, not considering this cost when buying a home can be a serious mistake. As you may well know, solar lowers a home’s electricity cost (one of any home’s major utilities in addition to gas and oil). Solar’s affect on your home’s energy efficiency can result in a boon to your resale value in a few ways. First is the direct correlation between making your home greener and a homebuyer being willing to pay more for it. The Boston Globe suggests that you can expect home value increase of about $3 per installed watt. So if, for instance, your home sports a 6kW solar system (6,000 watts) you can expect an $18,000 appreciation in value. Not bad at all. Now let’s address how a home made green through solar will affect your buying pool. Any responsible homeowner will factor the hidden cost of utilities into the calculations of what they can afford so they don’t get burned when the monthly expenses add up to more than they bargained for. For many this may mean a lower price range when house hunting. However, because solar reduces (and in many cases eliminates) the home’s electric bill a new home buyer can spring for a home in a higher price point without worrying that they are courting financial woes in the future. What does this mean for the seller? For one, you can be comfortable setting the asking price a bit higher than you would without solar. But it also means more potential buyers and a quicker sale. Property taxes, another hidden cost of home ownership, also benefit from solar as it is the the only improvement that will not increase your property taxes. Finally, let’s talk other improvements. We already know that making your home energy efficient will increase home value. So what if you had other improvements in mind? How could solar help? If, let’s saying you are switching out oil heat (which is becoming increasingly expensive) or need a new water heater some interesting options open up with solar. Many homeowners steer clear of electric heating and hot water solutions due to the high cost of electricity, and the sometimes staggering electric bills tied to using electricity for heating. These are valid concerns unless you have a way to mitigate the high costs. Solar provides a way out. By lowering or eliminating the electrical costs tied to running your home, solar makes electric heat or hot water more affordable, thereby increasing your home value with energy efficient solutions as well as bringing your utility costs more under your control (so that you are no longer tossed to and fro by skyrocketing oil prices due to world events or the current natural gas shortage). Solar is good for the planet. No one can argue this fact. However, for most of us, saving the world takes a backseat to our individual well being, happiness and fiscal responsibilities. And when weighing the pros and cons of going solar it can be easy to rank the health of Mother Earth lower than the health of your wallet, particularly at a time when looking at the appreciate a long-term asset like a home. Thankfully, going solar allows you to get the most bang for your buck while being a good citizen of the planet. In fact, solar makes doing the right thing lucrative. *This blog was revised from its original version posted on November 12, 2018.